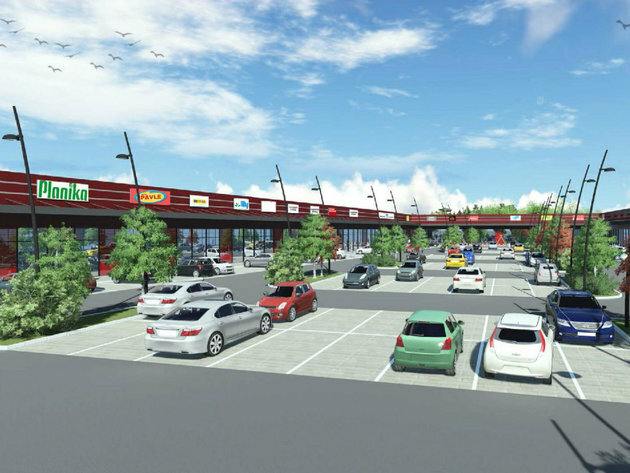 The construction of the first shopping center in Gornji Milanovac will begin in May, and the opening is scheduled for the end of the year, as announced by the investor in this project, the Belgrade-based company Bermilton Properties DOO. The planned Shop Park, worth over EUR 7 million, will be built on a parcel of around two hectares with close to 7,000 m2 of retail space and should feature 20 outlets offering products that will cover all the needs of modern everyday life. More than 170 free parking spaces will be provided within the center. – This week, with the great support from all institutions from Gornji Milanovac, we have managed to secure all the necessary permits which allow us to enter the phase of the construction of our shopping center – the PR of Bermilton Properties says in an exclusive statement for eKapija. – We are also in the closing stage of negotiations with the biggest global and local companies, which will be an integral part of our center. What we can say with certainty is that, for the first time, we will offer some of the most renowned world brands, which will start conquering the retail market in Serbia from Gornji Milanovac through this project. With our combination of renters, we will bring the new concept of shopping, gastronomy and entertainment to the city, along with numerous amenities and attractions in a single place. Around 300 people will work on building the center, and around 200 citizens of Gornji Milanovac and the surrounding area will be employed there after the opening. Other features and information related to the project can be viewed at www.shop-park.rs.